To download a list of projects for this collection in an Excel spreadsheet, see the Project Index. For instructions on interpreting the Project Index, see The Guide to the Project Index. See the Ernest & Esther Born Collection Finding Aid at the Online Archive of California. 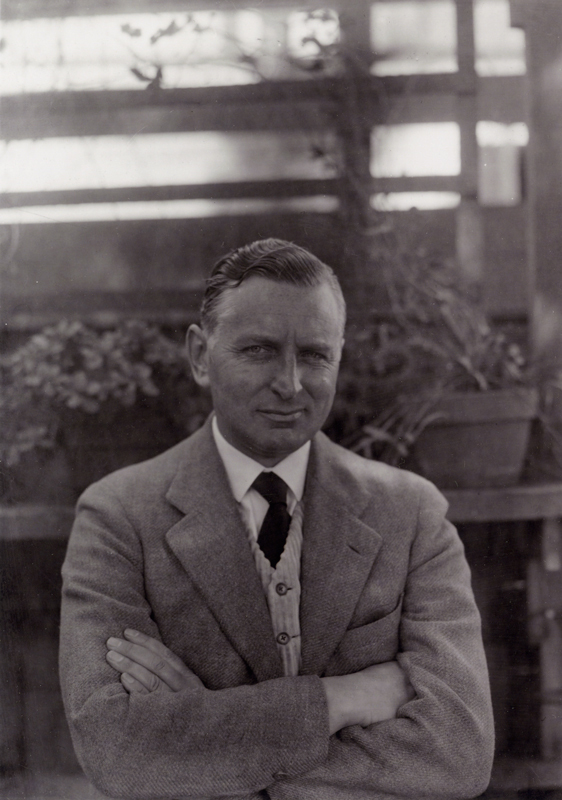 Ernest Born graduated from University of California, Berkeley’s School of Architecture in 1922, earning his master’s degree the following year. 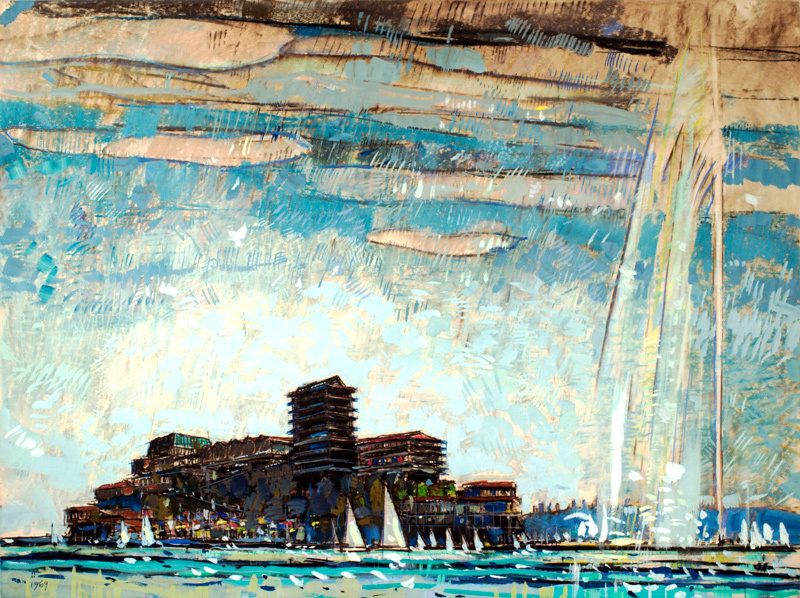 An accomplished artist as well as architect, Born’s designs include exhibits, murals, furniture, showrooms, book design, painting in oils and watercolor, and creating illustrations and art prints. Born participated in the design of the Glen Park BART station and drafted the signs for 33 BART (Bay Area Rapid Transit) stations. Known for his creative and technical skills he rendered drawings for other firms and devoted a decade to the design and illustrations of the book the Plan of St. Gall with author Walter Horn. In addition to maintaining and architecture and design office, Born was a professor in the UC Berkeley School of Architecture. Esther Baum graduated from UCB Architecture School in 1926, the same year she married Ernest Born. 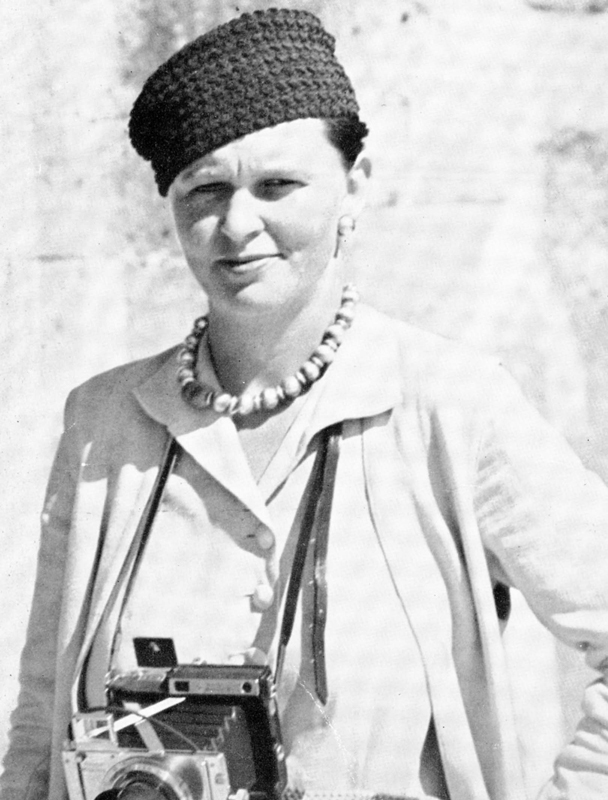 During the 1930s she studied photography becoming a recognized architectural photographer. She spent 10 months in Mexico photographing and drawing the regional architecture and design which resulted in the monograph The New Architecture in Mexico published by Wm. Morrow & Co. (New York, 1937) garnering recognition for modernist architecture in Mexico. The Ernest and Esther Born collection is comprised of two primary parts: Ernest Born’s personal and professional papers and the records of his practice including design, exhibit, and building projects; and the architectural photographs of Esther Born. Ernest Born’s project include large-scale presentation renderings for developments on San Francisco’s Alcatraz Island, Fisherman’s Wharf, and the Embarcadero Crescent, the UC Greek Theater Reconstruction, and the North Beach Place Housing Project (1942) as well as designs for plaques, exhibits, and publications. The BART materials consist of signage research and drawings for the Balboa, Glen Park, and Lake Merritt stations. The Golden Gate International Exposition on Treasure Island, San Francisco (1939-1940) is well documented through Esther’s photographs and Ernest’s records. The bulk of the collection consists of project drawings and photographs. Notable projects include: IBM Site Plan and Building Complex (San Jose); 990 Pacific Senior Housing (San Francisco); McGraw-Hill Office and Distribution Center (Novato); Candlestick Park Stadium (San Francisco); and the Gallo Wine Headquarters Building (Modesto).